On Broad Street, close to the Square Tower. the same time two hundred years before. The model of the original ship H.M.S. 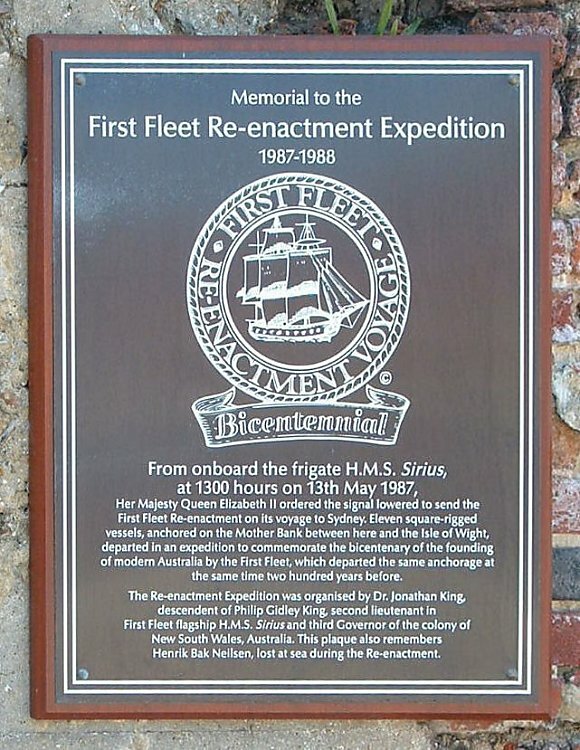 Sirius at Gunwharf, the Birth of Australia Plaque and the Australian Settlers Memorial.